What is the Difference Between Chemotherapy and Radiation? Chemotherapy is a form of cancer treatment where a patient is given drugs designed to kill cancer cells. Radiation, on the other hand, is a type of cancer treatment where high doses of radiation are delivered to cancerous tumors in the body. Various treatment options are available for patients suffering from cancer. Depending on the type of cancer, the stage of the cancer when the patient is diagnosed, and the patient’s overall health, some treatment options may make more sense, or may be more effective, than others. In determining which treatment option is best for you, it is most important that you have an in-depth discussion with your doctor. By preparing ahead of time, you will have a more active role in guiding your cancer care experience and will be more informed about why you are undergoing each treatment and what you can expect. In preparing for these discussions, it is a good idea to research your condition and which treatment options are available. Even if you and your team have already decided on a treatment plan, it is important to be educated on how each treatment works and how you might be affected. 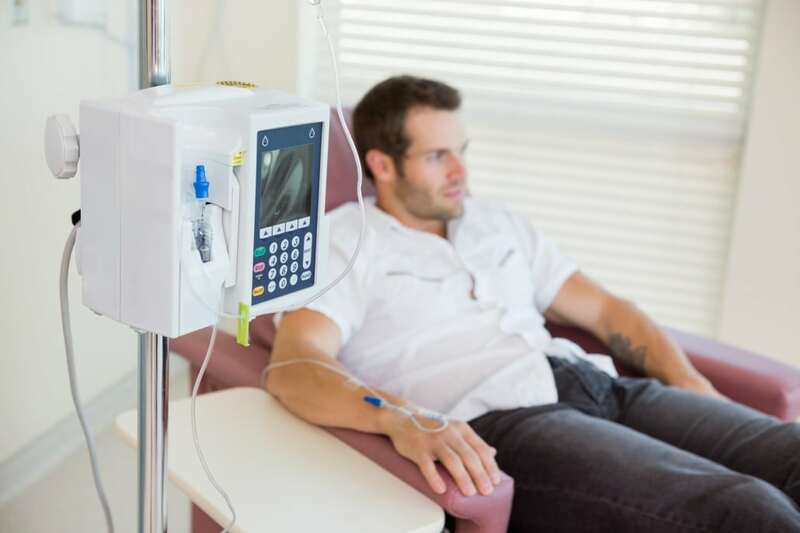 Below we summarize general information about two common cancer treatments to demonstrate the difference between chemotherapy and radiation treatment. Chemotherapy refers to a type of cancer treatment in which a patient is given drugs that are designed to kill cancer cells. One or more drugs, called cytotoxic anti-neoplastic drugs, may be given at a time, either intravenously or orally. Chemotherapy works by targeting cells within the body that divide rapidly, which is one of the main characteristics of cancer cells. Some normal cells also divide rapidly, such as cells in hair follicles and the digestive tract. These cells are also damaged by chemotherapy, which accounts for many of the side effects patients experience when undergoing treatment. Because every cancer is different depending on the exact genetic mutation that led to the cancer’s development, the treatment needs to be a multi-faceted approach. Many times, doctors will recommend a combination of chemotherapy and radiation. Attacking the cancer from multiple sides, often including surgery, can provide people with an improved chance of survival along with a significantly better quality of life. When will physicians choose one form of treatment over the other? Doctors will recommend chemotherapy if there is a specific chemotherapeutic agent available for that type of cancer. Chemotherapy agents are often designed to target specific points in the replication and division cycle of cells. If there is an agent available for that cancer, it will be recommended. If not, then other treatment options will be explored. Radiation treatment refers to a type of cancer treatment in which high-doses of radiation are delivered to cancerous tumors in the body. The beams of radiation pass through the skin and other materials to target a specific location where a tumor is located. Radiation damages the DNA of the cancer cells, causing them to die. The process of receiving radiation treatment is painless, and side effects are often limited to the areas of the body around the tumors that receive the treatment. Radiation will kill all cells in its path and is used if doctors need a second treatment choice to augment chemotherapy. If doctors feel that all of the cancer can be removed with surgery and chemotherapy, radiation may not be needed. On the other hand, radiation is used if there is no chemotherapy agent available for that type of cancer. In some cases, your radiation oncologist may suggest a combination of chemotherapy and radiation treatment. This approach may be particularly useful for patients with advanced stage cancer, where cancerous cells have spread to one or more organs beyond the organ where the cancer originated. The decision to use chemotherapy, radiation, or both is a complicated one that patients need to make in conjunction with their oncologist. Part of making an informed decision involves understanding the side effects of each treatment method. Then, the side effects can be weighed with the benefits and an informed decision can be made. 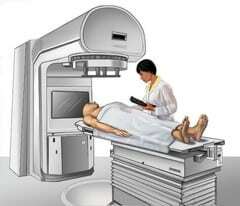 Cancer Support Groups in Charlotte, NC How Does Radiation Therapy Work?